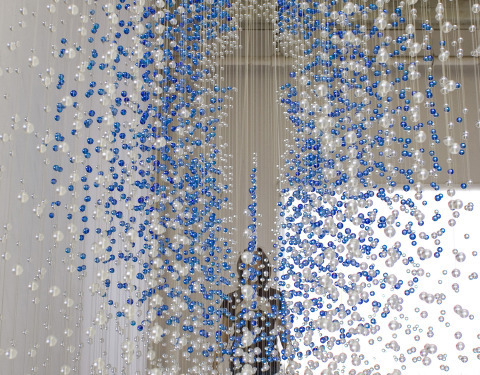 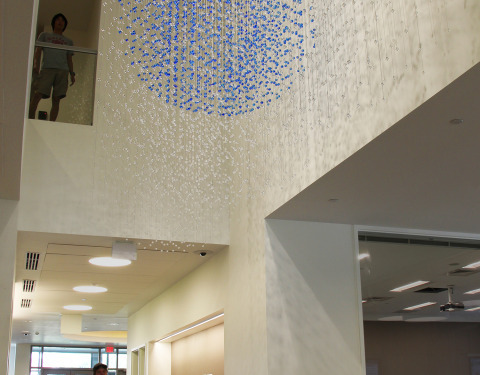 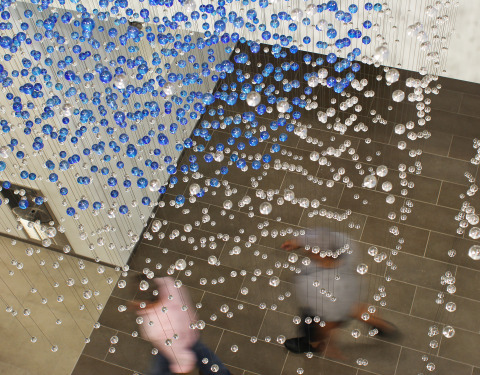 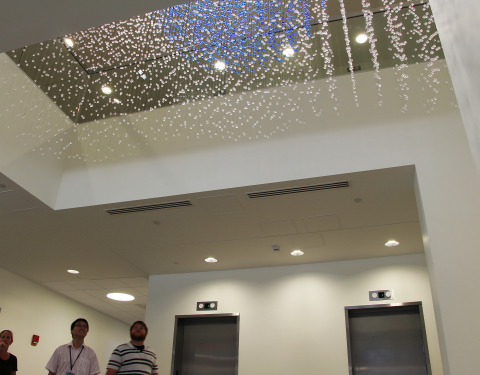 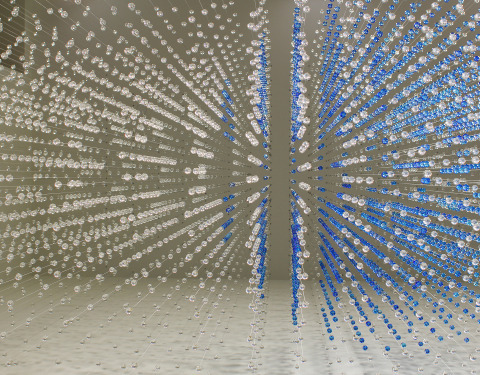 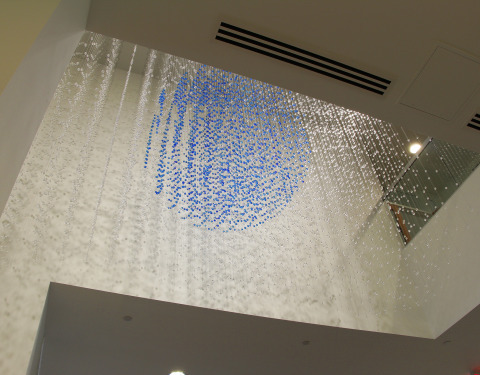 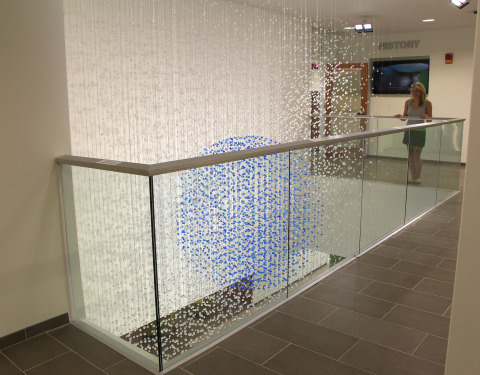 The artwork fills the two story open space with thousands of sparkling glass beads. 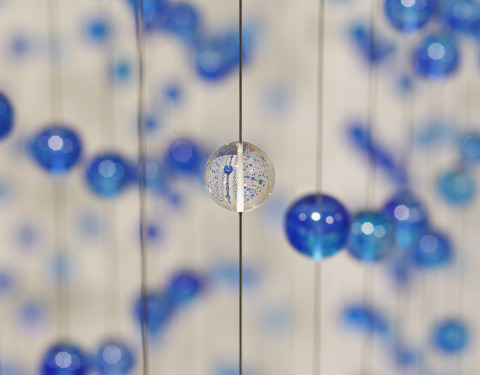 In the midst of this transparent spherical glass atmosphere, a group of tinted blue beads form a six-foot sphere representing the globe. 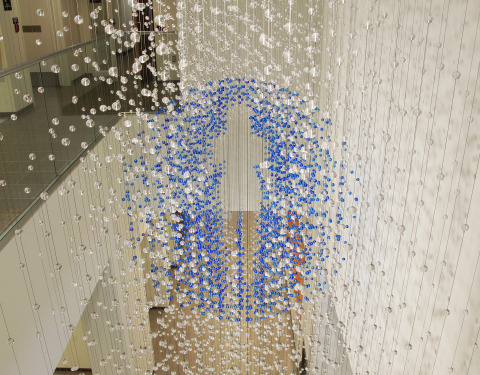 When viewed from one side of the installation, the outline of a human figure appears as a negative space. 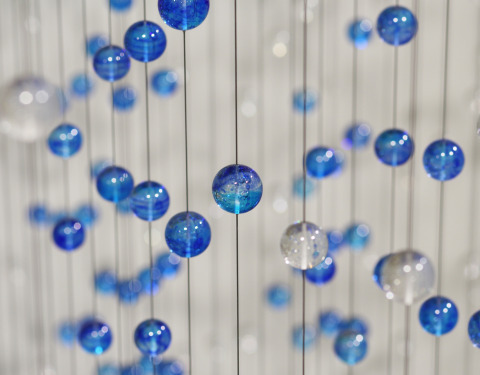 Depicting the long history of mankind inhabiting earth, the human form passes through both the clear sparkly atmosphere and the floating blue globe.